All neural functions—from simple sensory responses and motor commands to elaborate cognitive behaviours—depend on the assembly of neural circuits, a process initiated during embryonic development. An early and fundamental step in this process is the generation of distinct classes of neurons at precise locations within a primitive neural epithelium (reviewed in Tanabe and Jessel, 1996). Over the past decade, many of the mechanisms that control the identity of specific neural cell types have been defined, in large part through the application of molecular genetics in invertebrate organisms such as Drosophila and Caenorhanditis elegans but also through cellular and biochemical approaches in vertebrates. Collectively, the study of these diverse systems has provided considerable insight into the relative contributions of environmental signaling and lineage restrictions in neural development and has revealed the identity of many of the extracellular signalling factors and intracellular proteins that direct cell fate. 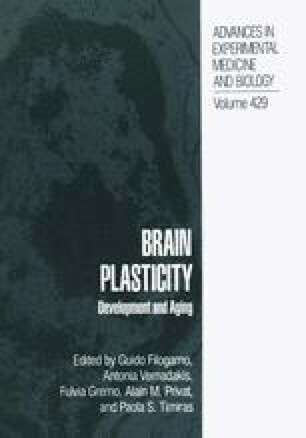 In this chapter we a) present a brief overview of recent progress made in defining positive and negative regulators of neurogenesis in vertebrates and their similarities with invertebrate organisms, b) discuss how genes regulating cell-cycle are also essential participants in neural differentiation and c) review recent data implicating neuron-specific markers in neuronal differentiation.